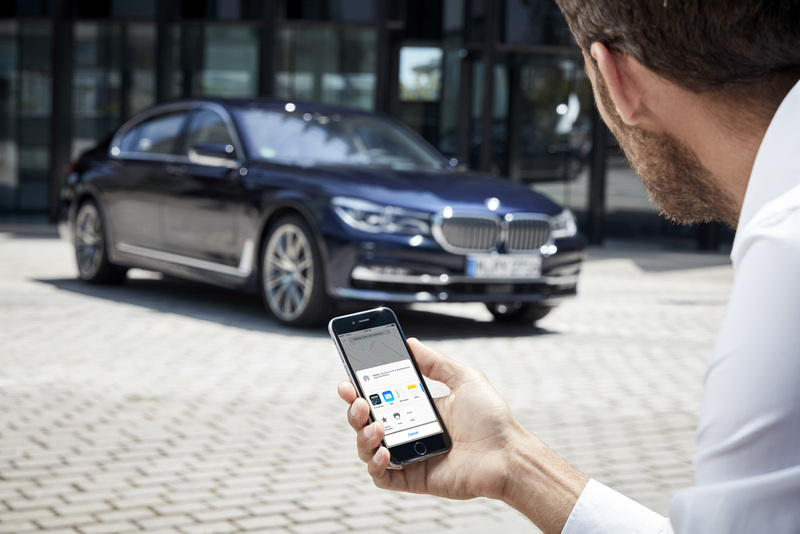 Android support for BMW Connected is also here. Remember when James Bond drove his BMW in a parking garage from the back seat by remote control? Yeah, the automaker's latest Connected app won't do that. But, it'll at least make you feel like "007 lite" with Alexa, Apple Watch 2 and Android support. The Alexa integration is the most fun, letting you use voice commands with an Echo or Echo Dot to lock your vehicle's doors, load up a scheduled trip and check battery and fuel levels. BMW isn't the first automaker with an Alexa skill. Hyundai already offers the service with its luxury Genesis brand, and Ford will support it by year's end. Ford's service will offer a few more features, letting you start your car with voice commands, communicate with your smart home and use the AppLink service to talk to Alexa while you're in the car. It will only work on three of Ford's models, however: the Focus Electric, Fusion Energi and C-Max Energi, according to Reuters. With BMW's latest iOS version, you can use your Apple Watch Series 2 to check driving times based on current traffic or see a navigation map without pulling out your smartphone. As with the Alexa, you can use the wearable to lock your doors and check vehicle parameters from the comfort of your couch. Finally, the company finally launched an Android app with similar features to the iOS version. Those include walking directions to your car's parking spot, departure notifications based on your appointments and traffic, and the ability to set points of interest. New features include EV charger searches filtered by the type of charging and payment method you prefer, and a smartphone battery-conserving mode. You can now download the iOS and Android apps via BMW's site, or by enabling the Alexa skill and linking your BMW account.